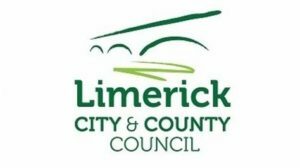 Limerick City & County Council have carried out a Crèche/Childcare facility Waste Prevention and Resource Efficiency Project.The project identified 5 Crèche/Childcare Facilities providing similar services. These facilities included both community based enterprises. A desktop audit of the bills waste, energy and water in 2015 in each of the participating facilities was carried out. This resulted in overall baseline data on the cost of waste, energy and water, per user, per day in each facility. A waste audit and walk through audit of each facility was carried out. The results of the audits provied management with a report and recommendation as well as Staff training at each individual facility. Subsequent waste audits were also carried out to record improvements. Learning between organisations Creche Facilities, Childcare Committee, Council, EPA, CTC, SRWMO. Baseline data numbers availing of school collections and distances travelled from the crèche. Up skilling of staff in each facility and childcare committees in this area. Identification issues that might hinder the use of reused/repaired items in a crèche facility. Feasibility of Crèches as a location for Reuse/SWOP events (with a key focus on early years). Promotional information was produced– some of this was determined during the project and the project team agreed the form it took. A template for a “Green Crèche Awards” was also developed as part of this project.